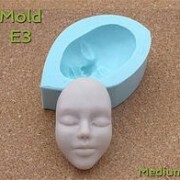 These high quality silicone moulds are perfect to mould with all kinds of products, plaster, clay, airdrying clays, Artstone clay, paper clay , modeling clay..etc. 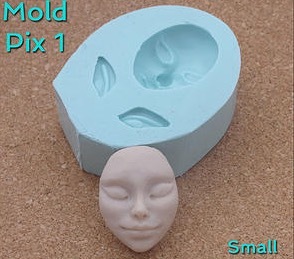 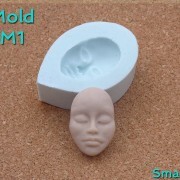 Just sprinkle some Corn starch and directly mould in your clay, and take it out immediateley, leave your face to dry. 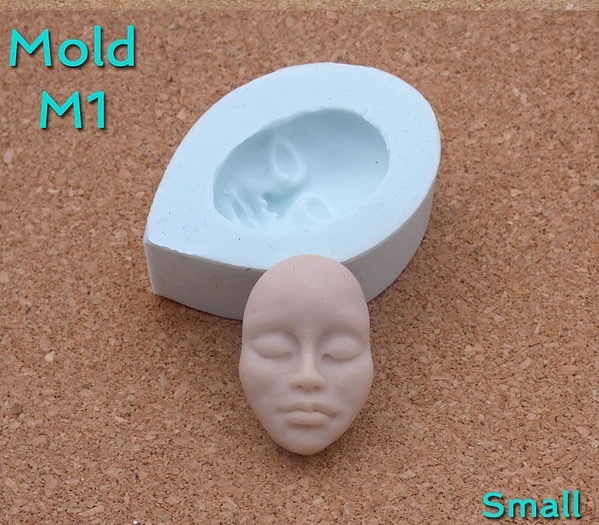 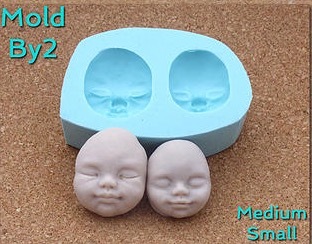 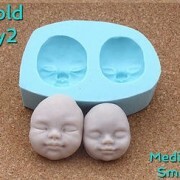 You can also mould the face onto a styrofoam egg or aluminium foil head and leave to dry. 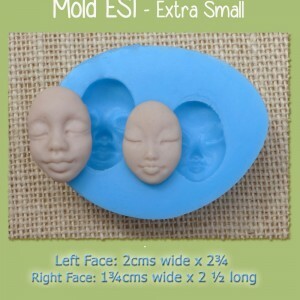 Should you only order this product, please send an email to order instead of going through the online store, the shipping costs will be less. 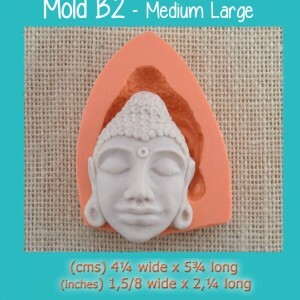 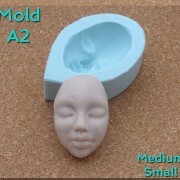 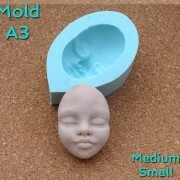 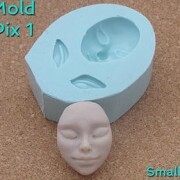 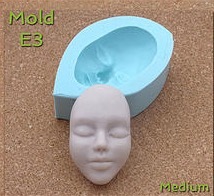 Be the first to review “Mould medium face E3” Click here to cancel reply.